Alternative medicine is defined as any health practice that takes the place of, or is incompatible with, conventional Western medicine. 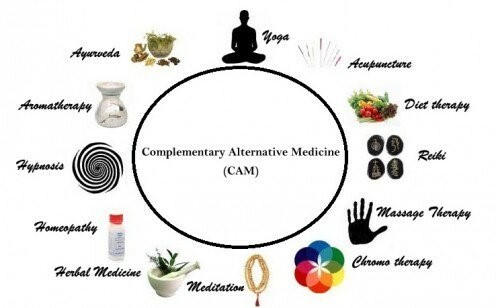 A distinction must be made between alternative medicine and complementary medicine. Complementary medicine may involve nontraditional medical practices, but is undertaken along with traditional healing approaches. Alternative medicine implies using only nontraditional methods. Alternative medicine includes a broad range of practices. Some healing therapies are based on ancient Chinese beliefs, like acupuncture and the use of certain herbal compounds. Others focus on Hindu, or Ayurvedic, therapies including diet changes, the practice of yoga, and emphasizing the connection of mind, body, and spirit. Mind, body, and spirit healing is also championed as holistic health, and can be alternative or complementary.